Welcome to our weekly recap of new movie trailers that debuted this week. Dive in for all the thrills, chills, laughs, remakes, and first looks below! 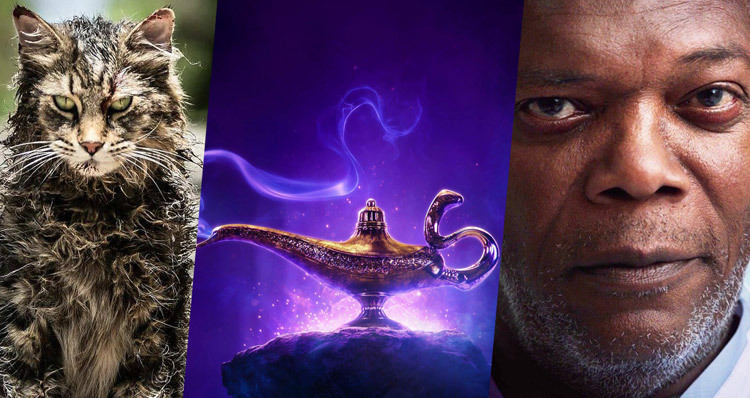 Disney has released the first trailer for their upcoming live-action remake of Aladdin! Set to debut in theaters May 24, 2019, the film stars two-time Oscar nominee Will Smith (Ali, Men in Black) as the Genie. Paramount Pictures has released the Pet Sematary trailer for the new adaptation of Stephen King’s classic horror story, starring Jason Clarke, Amy Seimetz, and John Lithgow. The remake is slated for release on April 5, 2019. Roadside Attractions has released the official Ben is Back trailer, the upcoming drama directed and written by Oscar nominee Peter Hedges (About a Boy, What’s Eating Gilbert Grape, Dan in Real Life). The film opens in select theaters on Dec. 7, 2018. STXfilms has released the first trailer for their civil rights drama film, The Best of Enemies, starring Golden Globe winner Taraji P. Henson (Hidden Figures, What Men Want) and Academy Award winner Sam Rockwell (Jojo Rabbit). Paramount has released the official trailer for Sarah Jessica Parker’s upcoming drama Here and Now. Earlier this year, the film had its world premiere at the 2018 Tribeca Film Festival. The film will be distributed by Paramount Home Media Distribution on digital and VOD on the same day the movie has its limited theatrical release. AMBI Distribution will release Here And Now in theaters on Nov. 9. Just in time for the holidays, the high school zombie Christmas musical Anna and the Apocalypse gets a brand new trailer.